Also See Section I... Choose Life That You Might Live What is truly interesting is that most people seem to be prejudiced against the Bible, but well disposed towards other 'scriptures'. This is a rather illogical situation, because there is far more evidence in favor of the Bible being true, than there is for any of the other 'holy books'. 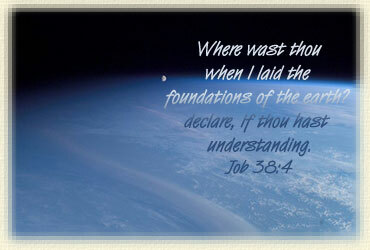 This includes scientific, historical and archaeological corroboration and the many fulfilled prophecies. As a Christian, I often get a chance to discuss many different topics with Atheists and those of other religions: The existence of God, the divine design of our universe and the resurrection of Jesus, are just a few of the major topics. While discussing these issues it seems that the same objections arise almost every time. In this paper I would like to fully address one objection that is difficult for most Christians to answer. Atheist: I have had several other Christians show me the supposed evidence for the resurrection. Quite frankly, I was not impressed. After they were through, I was convinced more than ever that there was little or no evidence for the resurrection of Jesus. GBL: I find that interesting. Would you mind telling me what criteria you used to judge the quality of the evidence, and what baseline you used to judge the quantity of evidence required to affirm that the event took place? Atheist: As for the quality and the quantity, we both know that the claim for an extraordinary event requires extraordinary evidence, and that kind of evidence simply was not there. The statement he made that is supposed to stop us in our tracks is "an extraordinary event requires extraordinary evidence" if the event is to be believed. This has become somewhat of an axiom in the atheistic community. You will note how this Atheist adds "we both know," as if this is a self evident statement. There are several reasons why this has gained wide popularity: it is short, simple and easy to remember. At first glance it looks like a bit of sound reasoning. However, a systematic analysis of it will prove it to be nothing but smoke and mirrors. If the Christian has properly framed the discussion, he has established a criteria and set up a baseline to determine historical reliability (see my article on framing the discussion). This is the objective way to determine historical accuracy of any historical event or the reliability of any document. But the Atheist is not satisfied in using the normal means and methods in determining claims for supernatural events. He demands something more -- "extraordinary evidence." I have found few Atheists who know what they mean when they ask for extraordinary evidence. Simply asking the Atheist to explain what extraordinary evidence is, will usually put a damper on his objection, but it still needs to be answered in a more complete fashion. 1) A higher quality of evidence. 2) A different kind of evidence. 3) A greater amount of evidence. Regardless of which of the above is being asked for, we must ask what objective method is being used to determine what qualifies as extraordinary evidence? How does one objectively determine how much of a higher grade of evidence is required before affirming a miraculous event happened? Where is the objective scale that shows what amount of evidence is needed for regular events and how much more is required for miraculous events? The reason that these questions are so important is that the Atheist has no objective method by which to make these decisions. You will find that what is meant by extraordinary evidence is really evidence that suits the Atheist's subjective interests. 1) The criterion must be able to be met, at least in principle. Sometimes people will make demands for evidence that cannot be met. The Atheist may ask for evidence that will prove with 100% certainty that Jesus rose from the dead . If you are unable to provide such evidence, the Atheist will then consider his unbelief justified. What the Atheist doesn't realize, is that he has committed a categorical fallacy! There are two types of reasoning that we use to determine truth deduction and induction. Deduction deals with formal logic that produces necessary conclusions; conclusions that are 100% certain. Induction deals with informal arguments and yields probable conclusions. These are conclusions that rational people adhere to, because the rational person goes with the evidence and not against it. When dealing in the areas of law, science and history we need to use inductive reasoning. All of these areas can only yield probable conclusions. As you can see, if the Atheist demands 100% certainty, he is asking for a deductive argument. But historical investigation is an inductive process. Here the Atheist is demanding a deductive conclusion to an inductive argument. He is asking that the characteristics of the one category (deduction) be applied to another category (induction). This is fallacious reasoning and must be pointed out. This type of criterion cannot even be met in principle. If the test cannot be met, at least in principle, then it is not a real test. It is simply masquerading as a test. 2) The conclusions of the criterion cannot conflict with known fact. It is also improper to have a test that not only falsifies the issue at hand, but other issues we already affirm to be true. For example, let's take David Hume's tests for the miraculous which are found in his "Treatise on Human Understanding." Here Hume set up a battery of tests. In the end these tests show that no one can affirm that a miracle ever took place. However, in Hume's own day it was shown that, given these same tests, no one could affirm that Napoleon had been Emperor of France, or that he had ever lived. This was an intriguing idea since Napoleon was still alive and living in exile. 3) The criterion must be objective. In other words, the test should yield the same result, regardless of the personal opinions of those applying it. If the test only disproves the resurrection when an Atheist applies it, or only substantiates the resurrection when a Christian applies it, the test should be rejected. 4) The criterion must be one which has been used in historical research and has been demonstrated as a reliable way of determining history. I was recently reading a paper written by an Atheist. In the paper he admits that there is more evidence for the reliability of the New Testament than any other book of ancient times. However, he still rejected the resurrection because he felt there was not sufficient evidence for the reliability of the documents or the event. He listed what he considered to be sufficient evidence. At the top of the list was video tape of the event. If we could produce video tape of the resurrection of Jesus, this Atheist would be tempted to believe. Besides the obvious absurdity of this criterion, this criterion is not now, nor ever has been a criterion used by historians to determine ancient history. It is an instance of the logical fallacy "Special Pleading." It is a criterion which is set up with the sole purpose of disproving the event at hand, an event the Atheist does not like, but is never used to evaluate other events of the period. These guidelines may seem elementary, but the amount of time I have spent discussing them is unbelievable. I remember one occasion, in reference to the first guideline, an Atheist asked the question "Why do we need to have criteria that can be met?" In other words, on a scale of 1 to 10, where 1 lets in any and all data as evidence and 10 allows the least and only very best data as evidence, this Atheist wanted to contrive a criteria that would allow no evidence. Of course this is not how historical investigation is done. But it does show the lengths that some will go to in order not to give this particular event a fair hearing. A fair hearing is all Christianity is requesting. The Christian position only asks that we use the same reasoning and rational thought that we use to derive what are considered good conclusions in historical investigation, and apply those same means and methods to the New Testament and the resurrection of Jesus. Once the criteria and baseline are set, then we input the data and determine whether or not the documents and the event stands. If the Atheist can agree to this, the Christian position will come out on top every time. But getting the Atheist to agree to any standard criteria used in the community of historians is a difficult task. A big ploy used to avoid this sort of investigation is the one we are now examining. Let's consider the second possibility -- the possibility that another kind of evidence is needed. What other kind of evidence is there that we don't already take advantage of in normal historical investigation? What would this evidence look like? We now use the written accounts of events as evidence; what people say they saw, heard and experienced. We try to verify these things by looking for multiple testimony to the same events. We look to see if both friend and foe of the position confirm certain necessary aspects. We examine artifacts provided by archaeology to see if they can shed any light one way or another on the subject. Since the way we do historical investigation now requires that we appeal to what the witnesses sensed, is the Atheist suggesting that there is some other way besides the five senses for witnesses to know about something? Perhaps the Atheist is suggesting that we use some method other than our senses as a basis for our conclusions. Perhaps he is suggesting a deductive argument be used rather than an inductive argument. But we have already seen the folly of that in our first point. If the Atheist's position is that a different kind of evidence is needed and he wants to be taken seriously, he needs to tell us what other kind of evidence there is and how we are to perceive it. He also needs to avoid the fallacy of special pleading in his explanation. I say the "fallacy" of special pleading, because in considering this question, from the Atheist's view, he assumes that not all special pleading is fallacious. I say that because the very act of asking for extraordinary evidence is indeed special pleading. He is asking that one set of means and methods be used for ordinary events -- events his philosophy readily accepts -- and another set of means and methods be used to determine if events actually happened --events that don't fit his philosophy. For the purpose of this paper we allow for it, but the Atheist needs to address the point and provide a sound reason for it. But let's proceed, as if there was a sound reason. Let 0 on this chart represent no quality evidence at all. In other words, no evidence that would pass a standard set of criteria. Let 10 represent the amount of quality evidence that would bring about virtual certainty in any matter. Let the light blue line represent our baseline. The baseline is the amount of quality evidence supporting other comparable events that we accept as having occurred. The Atheist maintains that there is little or no evidence for the resurrection (column A on the chart). He also asks that the commonly accepted line by which we judge there to be sufficient evidence (the baseline) be raised to require more evidence. If there is little or no evidence, instead of demanding the bar be raised to 7, 8 or even higher on the chart, the Atheist should offer to lower the bar to 3 or even 2, and show the Christian how erroneous is his claim to historical accuracy. In requiring extraordinary evidence, the Atheist is unknowingly admitting that the amount of quality evidence in favor of the resurrection of Jesus is minimumly equal to that needed to affirm other events of the period (line B on our chart). Once again, if the amount of quality evidence does not at least hit that line, then extraordinary evidence is not required, because the event does not measure up to a normal evaluation of historical reliability. In dealing with questions such as the historical accuracy of an event like the resurrection, matters can get complicated quite quickly. The lure of an easy out is quite appealing, especially in this fast food, immediate gratification society in which we live. The topic of this paper is one of those supposed easy outs, but when examined and analyzed we find that, while it may be satisfying on an emotional, subjective level, it does not hold up on an objective, rational level. In dealing with the question of whether or not the resurrection of Jesus can be rationally affirmed to be an actual historical event, the Atheist in our opening dialog demands that extraordinary events require extraordinary evidence. However, the requester is unable to objectively quantify or qualify the nature of the evidence he is requesting. If the nature of "extraordinary evidence" cannot be objectively quantified or qualified it cannot be a rational request. So, we find that the requester is unable to deal with the subject in a conventional manner. Such a manner would use a criteria and a baseline to determine rational acceptance or rejection of the event at hand. Overall, we find that our requester has done little but to side track, or avoid the real issue. In seeking to avoid the issue the Atheist has admitted, unwittingly, that the quality and quantity of evidence for the resurrection is sufficient for its rational affirmation. If the evidence isn't sufficient, then the use of a standard criteria and baseline could and should be used to show the event is not worthy of rational affirmation. If the event meets the baseline with quality evidence, then the question of more evidence becomes a real question. then I think we should take a serious look at the suggested criteria -- that is, as long as the suggested criteria does not violate the above guidelines. Until that time, the demand for extraordinary evidence is mere subjectivism and must be seen for what it is: a naked emperor parading in the streets.